Dr. Girish Gupta is a renowned Orthopedist in Marwari Agrawal Nagar, Indore. 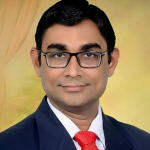 He is currently associated with Dr Girish Gupta in Marwari Agrawal Nagar, Indore. Don?t wait in a queue, book an instant appointment online with Dr. Girish Gupta on Lybrate.com. Lybrate.com has a number of highly qualified Orthopedists in India. You will find Orthopedists with more than 35 years of experience on Lybrate.com. You can find Orthopedists online in Indore and from across India. View the profile of medical specialists and their reviews from other patients to make an informed decision. I have neck pain no relief How can relief the pain Suggestion please Neck is not moving sides. Hi there Stiff neck or neck pain can be caused by straining a muscle by maintaining bad posture, whiplash injury, sleeping in an awkward position and much more. You can follow these steps to manage your pain: Take regular doses of paracetamol or ibuprofen or a combination of the two, to control pain – ibuprofen gel can be rubbed on to your neck as an alternative to taking tablets. Try holding a hot water bottle or heat pack to your neck – this can help reduce the pain and any muscle spasms, although some people find cold packs offer better relief. Sleep on a low, firm pillow at night – using too many pillows may force your neck to bend unnaturallycheck your posture – bad posture can aggravate the pain, and it may have caused it in the first place. Avoid wearing a neck collar – there's no evidence to suggest wearing a neck collar will help to heal your neck, and it's generally better to keep your neck mobileavoid driving if you find it difficult to turn your head – this may prevent you being able to view traffic. If your neck is stiff or twisted, try some neck exercises – gently tense your neck muscles as you tilt your head up and down and from side to side, and as you carefully twist your neck from left to right; these exercises will help strengthen your neck muscles and improve the range of motion of your neck. I've been having joint pain and swelling in ankle and knee, Also done LFT test and as per report AG Ratio is 1.367, please help me I am unable to walk. Ankle pain. Our suggestion would be to do hot water fermentation along with Cold (ice) therapy. You shall also keep a pillow under the knee while sleeping, next is you can keep ice in the painful area for about 5--10 minutes. As arthritis is very common that you get generally bilaterally. Ice therapy would definitely help to reduce the inflammation. We also advise you to use knee cap which would help to prevent the knee from damaging further and also to maintain the quadriceps muscle tone. Simple Knee ExerciesSpecific knee exercises will also help ie. Keeping ball underneath the knee and keep pressing it. That's the simple exercise which will help you to strengthen the knee Ice therapy would definitely help to reduce the inflammation. We also advise you to use knee cap which would help to prevent the knee from damaging further and also to maintain the quadriceps muscle tone. I also advise you to use knee cap which would help to prevent the knee from damaging further and also to maintain the quadriceps muscle tone. Knee pain more than 2 weeks:if your knee is paining since 2 weeks, then you have to rethink whether you had any injury in the previous years. I also advise you to use knee cap which would help to prevent the knee from damaging further and also to maintain the quadriceps muscle tone. As arthritis is very common if anyone would've neglected any injury in the previous years. You can take Ultrasonic therapy in one of the nearby physiotherapy clinics which would help to heal the damaged cartilages along with shortwave diathermy which would help to improve the blood circulation. Ice therapy would definitely help to reduce the inflammation. I am 21 years old and from last 2 years I have pain in my right wrist but this pain occurs in a gap. Not for all time Can you help me. Exact location of pain needed, but most of wrist pain due to ligament or muscle stretching. Need to do hot water application. I have some pain in both knees while coming down through the staircase. I also get pain whenever I try to do some yoga asanas. Please help. I am 25 year old men Having pain always in my left hand muscles. Its increased in cold weather. Could you please help me please. Hi for pain take hot water fomentation for 20 minutes thrice a day for 5 days. Do stretching and gentle massage of hand. If still you don't get relief and need further advice, consult me via lybrate. My hands and legs are always paining and I feel tired there's also weakness in mah bone what should I do. Take good amount of protein and calcium for bones and good amount of vitamin and minerals in your diet. I am 25 years old I have back pain from last 2 months I have taken treatment from local doctor. Back pain at this age may be due to wrong posture. First correct your posture. Avoid lifting, pushing n pulling heavy weights. Take hot formentation rest avoid excessive bending forward. Take proper physiotherapy sessions for complete cure. I am suffering from Leg swollen and spine pain. All test are done and are normal. ECG, blood test, MRI and biopsy. MRI caught few signals on d3, D4, and d7. Local doctors recommend for a biopsy. Biopsy results no symptoms of tb or any other diseases. Back and leg pain is portrayed as pain that has been felt in the back or leg for a half year or more. Pain is regularly situated in the lower back, yet it might reach out to different regions, for example, the thighs, calves, and feet. Indications of endless back and leg pain can extend from somewhat awkward to totally incapacitating. You may feel a sharp or cutting pain, a consuming sensation, or a dull solid hurt. Influenced territories may feel delicate or sore to the touch and the pain may increment with development. Leg swellen may be indication of varicose. 80 kg as per age and height is more. Go for cupping therapy to detoxification of body, however more details can collected privately before receiving any of detoxification therapy processes. I have been suffering from ankle pain from last few days after removing my shoes. Please help me. Hot and cold pack for 20 minutes alternative. Apply pain relief ointment. Tk rest. Avoid long standing. I know Pilonidal Sinus can be treated with both Open Incision Surgery, as well as Laser Surgery (Laparoscopy). For personal reasons I want the laparoscopy. Which of the other hospitals have facility for Laser Surgery of Pilonidal Sinus? And who are the Doctors / Surgeons in these hospitals who do laser surgery of Pilonidal Sinus? I understand the word laser and laparoscopy denote precise, painless or minimal invasive surgery. If the diagnosis of pilonidal sinus is confirmed then simple lay opening the tract and removal of the hair tufts resting at the depth of the sinus is the most accurate treatment. The hair tufts resting in the depths of the sinus act as a foreign body causing the discharge due to irritation and may lead to pus formation. Once these foreign body. The tufts are removed the sinus heals very well. The origin of these tufts of hair is person's own hair which are broken away from their roots and which accumulate in the natal cleft. 'Long sitting hours' is the most common reason why it happens. One has to take care that the broken hair do not accumulate in the natal cleft to avoid recurrence. Some times flap surgery is done to obliterate the very deep natal cleft. Though pilonidal sinus, a very minor illness, is very irritating for the person who has it. With systematic efforts and education of why one gets it is discussed, it is a very easy disease to manage. Fistuloscopes are used in Fistula in ano. And Laser is just a cutting tool. It does not provide any great advantage in recovery or avoiding the recurrence. This is a current established science.